6mm glass bicone beads, red and clear. 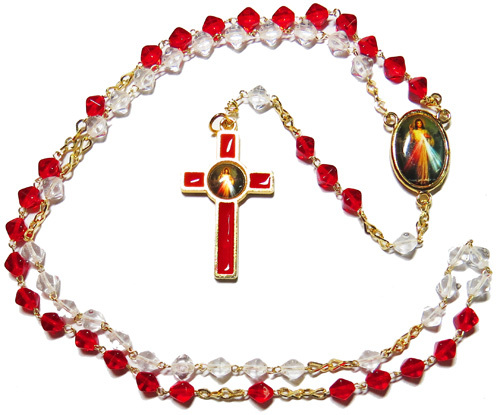 Divine Mercy picture on center and cross in red color ( edge and backside in gold color ). Metal parts in gold color.